Once a powerhouse of PC production, Japan has largely retreated from the market over the last decade. Sharp pulled out of PC manufacturing in 2010 to concentrate on the tablet market. In 2011, NEC put its PC business into a joint venture with Lenovo, which went on to buy the majority of NEC’s stake in July. And in 2014, Sony sold its Vaio PC business to an investment firm. 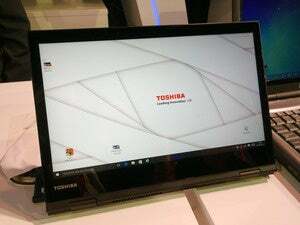 Lenovo made a name for itself outside China as a PC manufacturer when it bought IBM’s PC division for US$1.75 billion in 2005, vaulting into third place in the global PC market. Like IBM before it, Fujitsu is looking to hang on to its more lucrative services and servers businesses—although even this could change. Almost a decade after their PC deal, IBM went on to sell part of its server business to Lenovo, too.